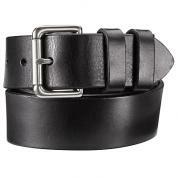 Made from chrome tanned leather, collared neck with a full zip at the front for the opening with leather tagged. 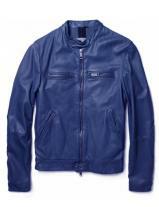 Polyester lined, full sleeve with bound cuffs. 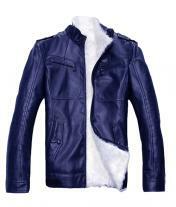 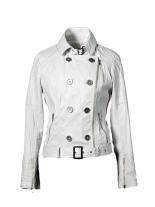 This jacket is padded at the shoulders and on elbows for protection, satin lined on the out for a glossy look. 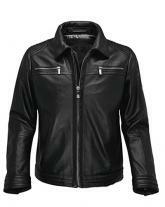 Single panel back, two chest pockets with zippers and safety pockets inside the jacket. 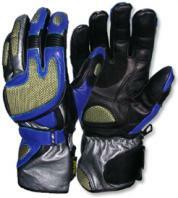 Heavy duty, waterproof and can be worn in all climate conditions. 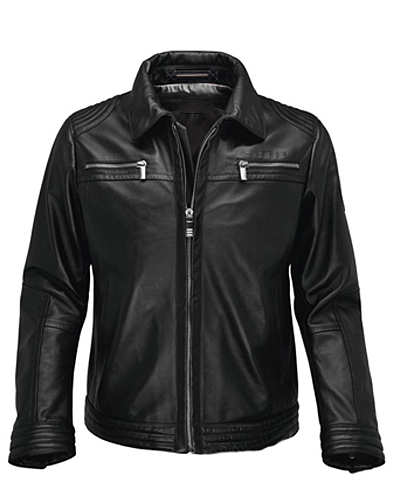 This dark black colored jacket will make other to turn back at you, perfect cut and finish.